Unique new jewelry collection now available! We are proud to offer a new and unique line of jewelry from Steel Revolt. 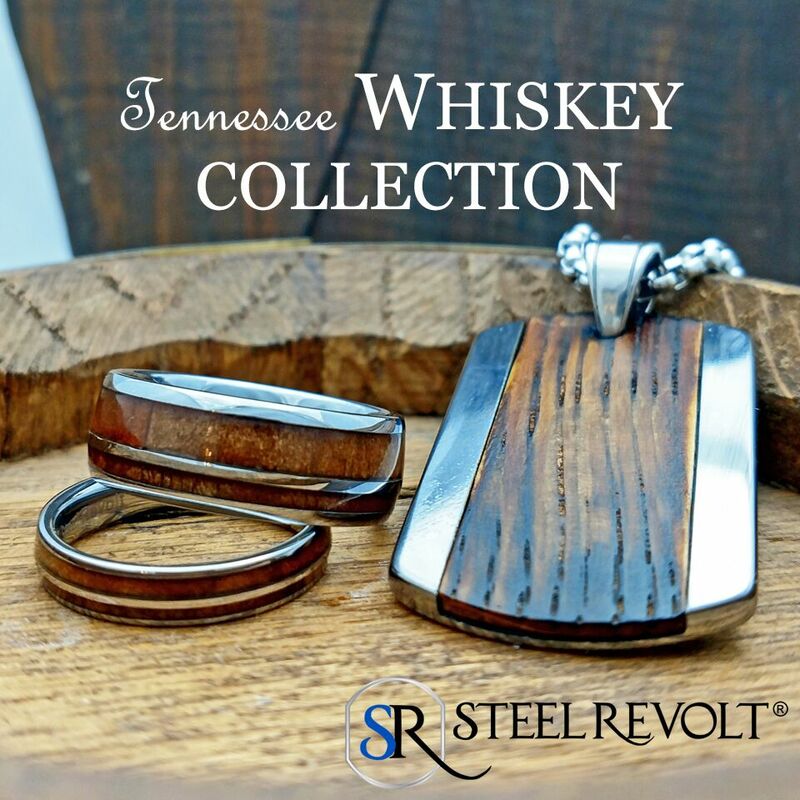 The collection includes brand new pieces from several of their product lines, including the Tennessee Whiskey Collection, the Genuine Antler Collection, and the Exotic Inlay Collection. The pieces include rings, weddings bands, bracelets and more! Stop by our store to browse these unique and interesting pieces! If you’re the type of person who likes different, unconventional, and unique things, wood-inlaid rings are great options to match that unique you. Our whiskey barrel wedding bands are perfect for anyone who wants a more natural, down-to-Earth look for their forever rings. Each ring is made of comfort-fit tungsten carbide to complement a wood inlay cut from a genuine Jack Daniels whiskey barrel. The barrel inlay is sealed to prevent water damage and gives the ring a consistent, smooth finish that matches the texture of the metal. 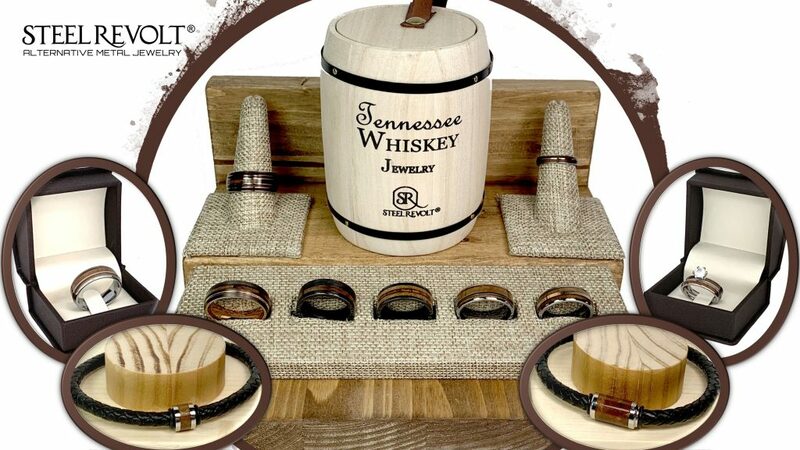 Choose from wide and narrow ring widths for him and her and say “I do” with these exquisite Tennessee whiskey barrel rings on your special day.